If you are searching for professional Williamsburg Tree Removal Company, then let us introduce ourselves. We are the C.S. Flournoy team and we have been taking care of the service needs of locals in this type of work for over 30 plus years now. To say that we have seen and done it all would be an understatement, but it does make us more than qualified to take care of whatever it is you may need done. The last thing you want to do is take chances when it comes to who you are going to let take care of your tree services in Williamsburg, VA.
Too many less-than-qualified companies out there make claims about being able to take on your work and then it turns out that they are in way over their heads. The last thing you need is to have your home or property damaged as a result of hiring someone to take care of this type of work for you. Plus, make sure you only work with someone who has the proper and required credentials. At C.S. Flournoy we go above and beyond for meeting these industry requirements. 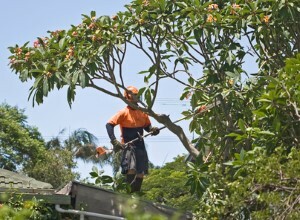 Our Tree Removal Company is licensed and insured plus have a certified aborist on staff. This is not a side project, this is our main focus. And all we want is to be able to take the best care possible of each and every customer we have the honor of being able to work with. If Williamsburg Tree Removal is what you need then our company is here for you. This type of work can be understandably tricky, to say the least. You need to know that whoever you hire has the training, skills, experience and equipment to complete the job. Otherwise, you could end up with a bigger and more expensive mess than when you started. The C.S. Flournoy crew will be there for you for all types of work; from pesticides to tree trimming to removal and stump grinding, we are a full service specialty team. Now, all you have to do is contact us so we can begin on your service needs. Williamsburg Stump Grinding has been going on forever. More people are turning to this method of stump removal because it's very convenient. If you need a service like this done to the stumps in your yard, then give us a call. C.S. Flournoy will remove them for you. The stump grinding process that we use eliminates stumps from your yard forever. We won't leave any remnants behind. You'll always receive a service like this from the pros at C.S. Flournoy. We are the ones that can get your yard looking better again. Don't keep procrastinating when all you really have to do is let us handle whatever it is you need done. For the finest in Williamsburg Tree Trimming the name to trust in is C.S. Flournoy. You are going to love the final results of your project once our team gets done with the work. And at the end of the day, you will feel good about havign called on us to get the job done. If you are looking for a Williamsburg Tree Removal Company then please call 804-264-1000 or complete our online request form.